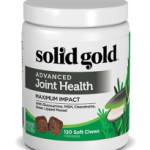 With the addition of Solid Gold’s newest dog food Sun Dancer, Solid Gold now offers a complete line of 11 holistic dog and cat food formulas. The chart below will help to guide you to the best choice for your dogs and cats. 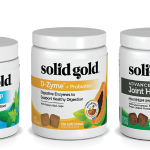 All of Solid Gold’s formulas are developed to be “non-allergenic”, enhance total health, boost up the immune system and protect against disease. To learn more click on a food name to get full ingredient list and nutritional analysis. To find a Solid Gold Retailer in Minnesota, Iowa, Nebraska, North Dakota or South Dakota use our store locator. To find a Solid Gold Retailer in all other areas please use the manufacture’s store locator.